Each week, Charity Navigator names a few of the highly-rated charities at work in each state. 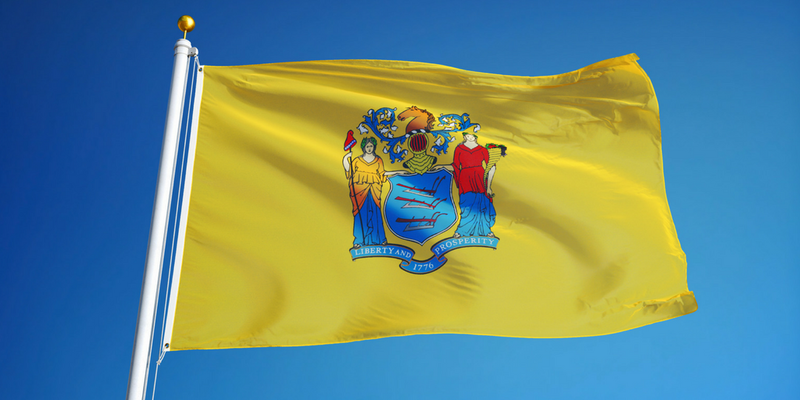 As we’ve moved our way alphabetically through the list of states we eagerly anticipated this week… the week we get to talk about our nonprofit neighbors in our home state, New Jersey. We excitedly turned this week’s feature into a Top 10 list of the most highly-rated charities at work in our state. Each is working to bring affect meaningful change in their respective communities and we’re honored to be able to talk about our neighbor’s good work. Keep reading to see who made the list and what they’re doing in the Garden State. Since 1920, the New York-New Jersey Trail Conference has partnered with parks to create, protect, and promote a network of over 2,150 miles of public trails. The Conference is a volunteer-powered organization that builds, maintains, and protects public trails. Together with their partners, they strive to ensure that the trails and natural areas they share are sustainable and accessible for all to enjoy for generations to come. In the last 5 years, volunteers have contributed more than 400,000 service hours to maintain trails, monitor invasive species, and create maps and guidebooks. Jersey Battered Women’s Service, Inc. is a full-service domestic violence and domestic abuse prevention agency. In 1976, a small group of women began a helpline to aid victims of domestic abuse which later evolved to include a confidential shelter. The mission of JBWS is the prevention of domestic abuse through the protection and empowerment of the victim, the rehabilitation of family members, the advocacy of social reform to prevent partner violence, and the education of the public about domestic violence and its consequences. Today they work with paid staff and volunteers to help the community fulfill this mission. Since 1979, individuals and businesses have opened charitable funds at the Community Foundation of New Jersey to fulfill their charitable goals and craft their philanthropic legacies. These Legacy Funds and Donor-Advised Funds have granted on average more than $30 million each year and enabled the Foundation to launch its own Changemaker Projects that are improving New Jersey’s communities. Table to Table is a community-based food rescue program that collects prepared and perishable food that would otherwise be wasted and delivers it to organizations that serve the hungry in Bergen, Essex, Hudson or Passaic counties. They work with nearly 200 partners, like supermarkets and restaurants, to “rescue” food and deliver it to more than 160 community organizations including soup kitchens, homeless shelters, and after-school programs, and homes for the elderly. In 2017, the organization rescued enough food to provide 19 million meals to hungry individuals and families in North Jersey. Founded in 1939, St. Hubert’s Animal Welfare Center operates animal shelters through northern New Jersey. The Shelter provides a number of community services, including pet adoption, humane education, a pet food pantry, low-cost spay/neuter of community cats, a pet helpline, and a professional educational series. And, they regularly advocate for animal welfare legislation and work to engage the community to help them protect animals in New Jersey and beyond. The Trenton Area Soup Kitchen (TASK) feeds the hungry in Trenton (NJ) and its surrounding areas. In addition to providing food, they offer a number of programs to encourage self-sufficiency and improve the quality of life for all patrons. The Princeton Area Community Foundation is a public charity serving central New Jersey. They provide a way for individuals, families, businesses, and organizations to create permanent charitable funds that help their communities meet the challenges of changing times. They invest and administer those funds, award grants, and scholarships, and prove a number of services to promote philanthropy and support the community’s local nonprofit sector. The Great Swamp Watershed Association is dedicated to protecting and improving the water resources of the Passaic River region, from the Great Swap headwaters to the Newark Bay, for present and future generations. Through education, advocacy, science, land preservation, and stewardship, in collaboration with partners, the Association works to instill their communities with an awareness of water’s effect on health and the beauty of the environment, from source to sea. Fulfill, the new name of the FoodBank of Monmouth and Ocean Counties, seeks big change in its communities. While the organization has always focused on providing food to individuals and families in need, its new name reflects their commitment to fulfill more than just hunger needs. Fulfill has a comprehensive approach that goes beyond providing food and helps those in need get to a place where they can get back on their feet. Ending hunger is a complex challenge, that’s why Fulfillprovidese a spectrum of programs to provide the resource people need to become self-sufficient. The United Way of Central New Jersey provides leadership to create opportunities for a better life for people living or working in its community. They serve those in need, the at-risk, and the vulnerable. The organization does this by mobilizing people, organizations, and financial resources to create and sustain programs that achieve targeted outcomes and lasting change through volunteerism, partnerships, services, and advocacy. We wish could talk about every one of our nonprofit neighbors here in New Jersey. Our state is home to more than 130 highly-rated charities doing exceptional work in communities in North, South, and Central Jersey (for those who believe that’s a thing). You can use Charity Navigator’s Advanced Search Tool and Discover feature to learn more about these other great organizations today.